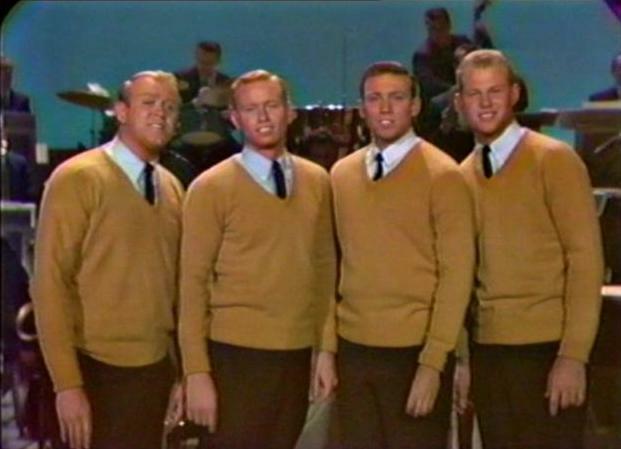 The Blenders were a musical quartet on the Lawrence Welk Show from 1967 to 1967. The group consisted of Steve Smith, Bob Duncan, Greg Dixon and John Johnson. The group got their start singing together at Westmont College in Santa Barbara, CA and were enrolled in the ROTC program. 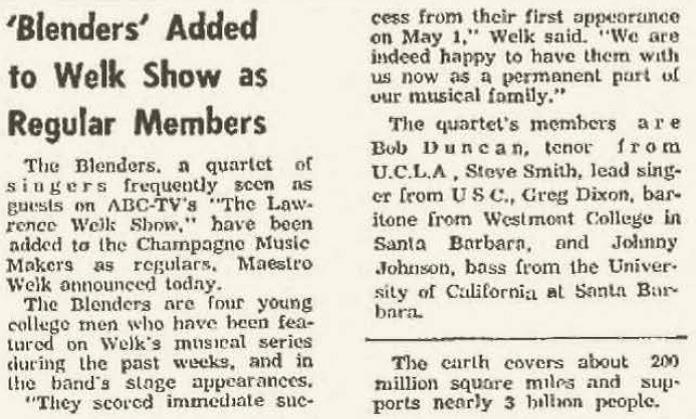 Their lead tenor, Steve Smith, transferred to UCLA and later went solo with the show after 1967. Smith dated Cissy King and Jo Ann Castle while on the Show while Greg Dixon married Barbara Boylan. John Johnson, meanwhile, finished his studies at Westmont College and completed a masters degree at USC.